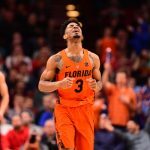 The Florida Gators are back in the 2018 NCAA Tournament after a bumpy season filled with constant rough patches. Nevertheless, after winning its final three regular-season games in dominant fashion, Florida earned a No. 6 seed in The Big Dance and will go up against the No. 11 St. Bonaventure Bonnies as part of the East Region on Thursday evening. Here’s what you need to know and how you can watch Gators-Bonnies. Despite Florida’s lack of consistency this season, the Gators have proven to be a team that raises its game to match top-tier opponents and can turn things on when their back is against the wall. White seemingly got into his team’s head late in the season to engineer a strong close to the campaign … only to see UF get whooped in the first round of the 2018 SEC Tournament. That was disheartening, but it’s not indicative of how the Gators are capable of playing and competing. Remember, this is a Florida team that, despite its failures, had the second-most RPI quadrant 1 wins in the nation along with six victories over ranked opponents in 2017-18. That’s one reason Sports Betting Dime has the Gators among their Cinderella teams for the NCAA Tournament. Another is that Florida can seemingly score at will and push the pace like few other teams in the nation … when it wants to? On a stage this big, the Gators should have no reason to flounder so early. Yes, they will be going up against a talented offensive team, but how many top-30 defenses has St. Bonaventure faced this season? (Hint: None.) How many top-40 offenses have the Bonnies gone up against? (Hint: One … and they lost that game by 12.) Florida should win and cover this spread, though I would not be surprised to see it go over. » Florida is back in the NCAA Tournament for the second straight season and seventh time in the last nine years, making its 19th overall appearance. 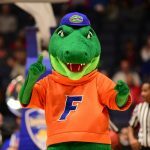 UF is 42-16 all-time in The Big Dance, 3-1 under Mike White. » The Gators have advanced at least to the Elite Eight in each of their last five tournament appearances (2011-14, 2017). » Florida is 13-4 all-time in first-round matchups in the NCAA Tournament. 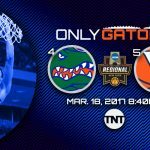 » The last time UF was a six-seed, it advanced onto to the Sweet 16 in 1999. Florida is 6-1 all-time against 11-seeds in the NCAA Tournament. » The Gators are 2-0 all-time against St. Bonaventure and 8-0 against all potential opponents in their quadrant. » Florida was ranked No. 21 on the seed list and is 2-2 against the bracket. The Gators are also 9-7 against the entire NCAA Tournament field on the season. 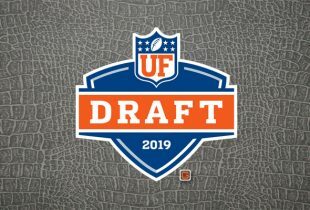 » It is the second straight year that UF is in a bracket with No. 1-seed Villanova and Virginia Tech. » The Gators’ six regular-season wins over AP Top 25 opponents (6-2) was tied for most in the nation at the time. Florida also had the second-most RP quadrant 1 wins (10) in the nation this season. » St. Bonaventure is 7-8 all-time in the tournament and earned its way into this year’s main bracket by soundly defeating UCLA 68-58 in a Tuesday night play-in game. It was the Bonnies’ first tournament victory in nearly 50 years. » Florida is 36-2 under White when scoring 80+ points and 32-34 otherwise. The Gators are similarly 47-9 under White when allowing 69 points or fewer, 21-27 otherwise. » White is the first coach in program history to earn NCAA Tournament berths in two of his first three seasons. » Senior point guard Chris Chiozza became Florida’s all-time assists leader this season, breaking Erving Walker’s record in the final game of the regular season.